The much-delayed £20m Northampton railway station will open no later than 12 January, Network Rail has announced. It had been due to open on 6 October, but was delayed while Network Rail worked through a 'snagging list'. Area director Terry Strickland said the delay had been 'frustrating,' but that the station would be a 'fantastic addition' to the town. Northampton South MP Brian Binley said 'bad publicity' had pushed Network Rail into solving the problem. 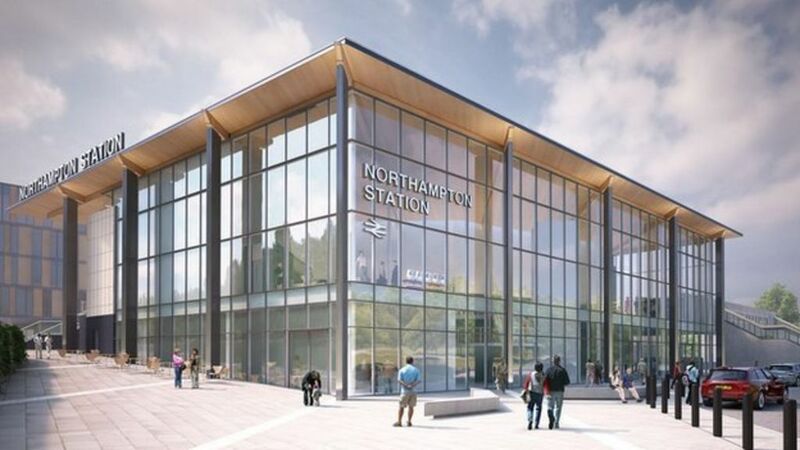 Network Rail announces that the much-delayed Northampton railway station is set to open no later than 12 January. The new - and considerably enlarged - Northampton station is almost ready for use on 8 July 2014. What was previously an awkward entrance from Black Lion Hill (the road in the foreground) has been turned into a drop-off bay, with a new main entrance from St Andrews Road.